Having the ability to slot your own fretboards allows you the freedom to use any species of wood you want. 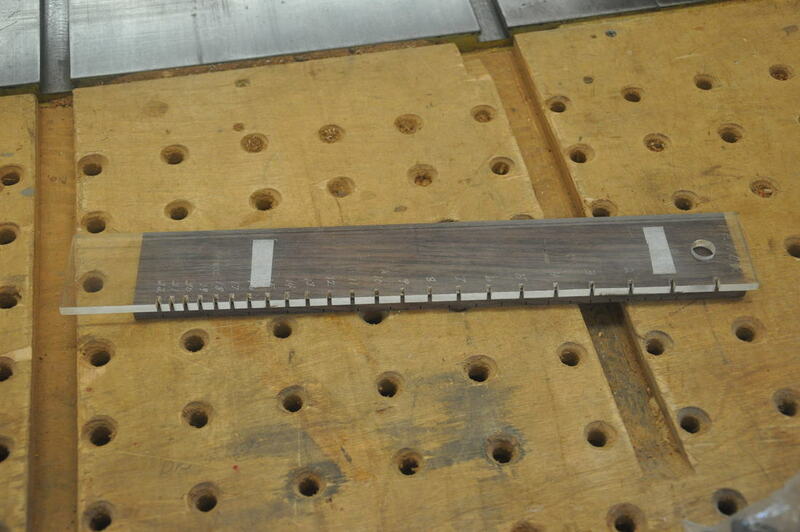 You can also easily make longer or shorter fretboards for different situations. Here is how I do it. 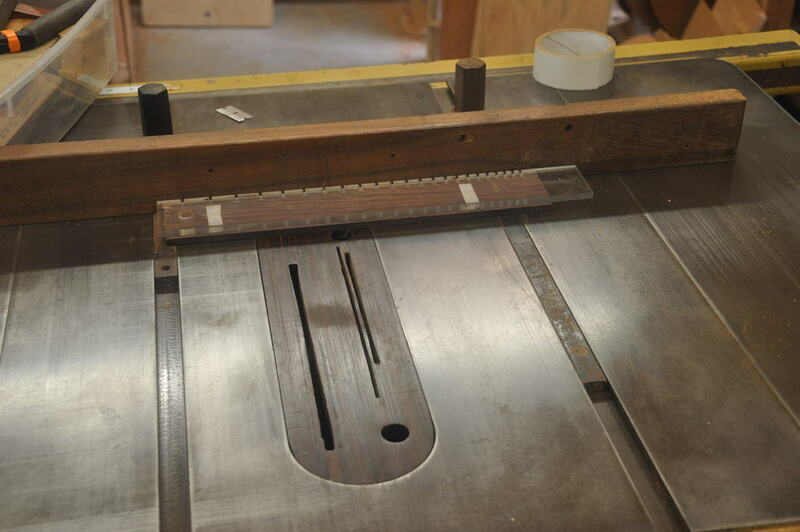 You will need a fret template, tablesaw and a slotting blade. Standard size slotting blades cut a .023 slot and are available from luthierie suppliers. I prefer to use 5" jewelers saw blades available from industrial machine parts suppliers like MSC or Reed's. Because I slot a variety of species, some harder than others, I use .023-.028 thickness blades to make fretting easier.Standard .023 blades will work just fine. 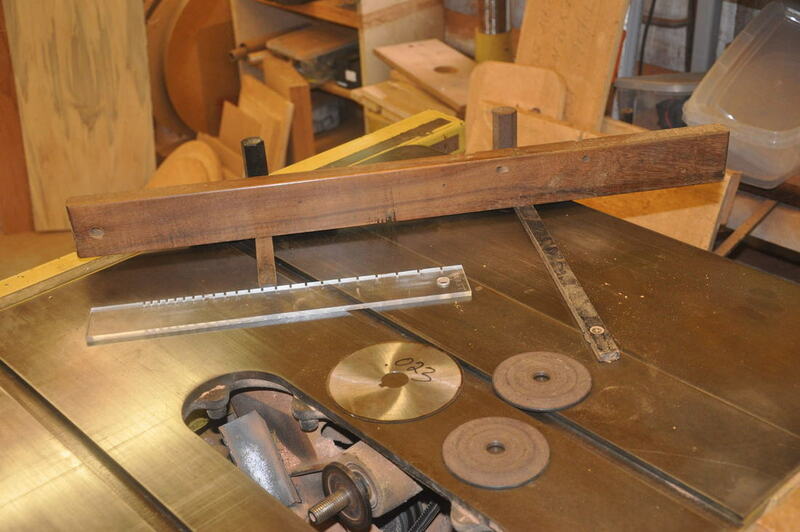 You can either make a sled to fit your saw, or use a fence with 2 miter guides on it like I do. Main thing is that the fence or sled has to fit tight in the miter slots and have no loose movement. 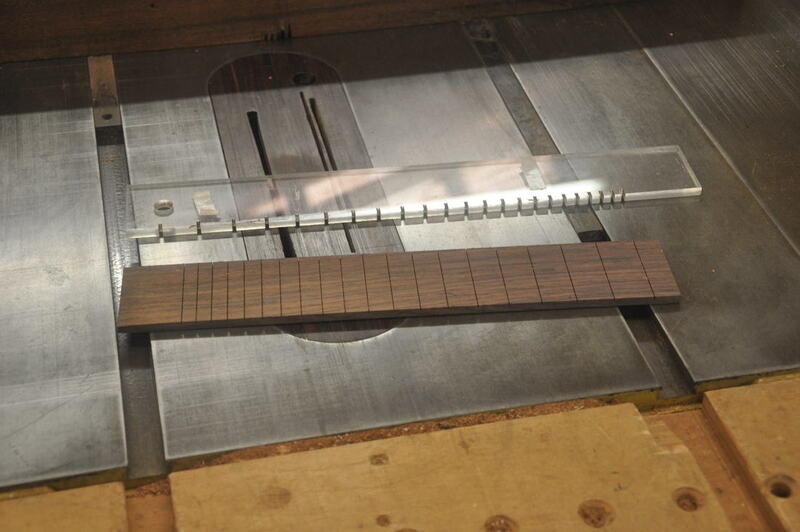 I start by squaring the fretboard blank just a little oversize from the final size I need. I then double stick tape the template to the bottom of the blank. It does not take much tape to hold it. 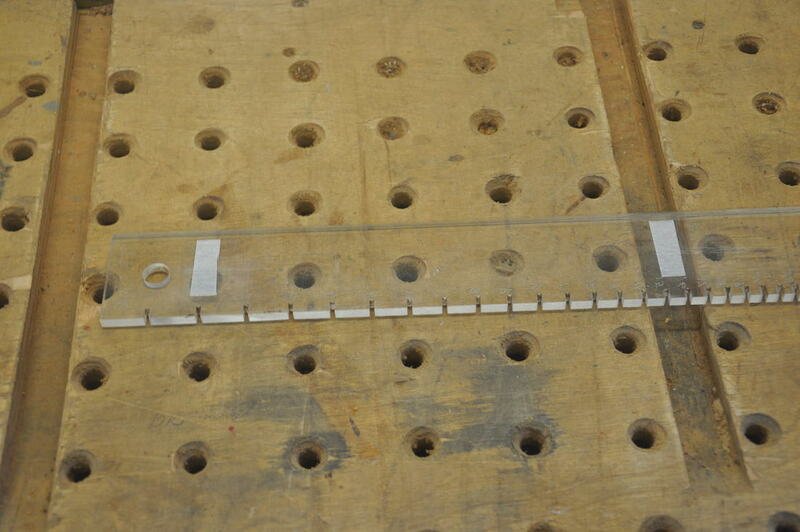 The template is obviously oriented so that the slots face the pin in my saw fence. Cutting the slots is pretty self explanatory. A pin, which can be an official pin like the ones I supply with my slotting templates, or a nail that has been filed square to fit the template slots is inserted into the fence slightly to the right or left of the blade. Does not matter which side of the blade. I prefer working to the right. 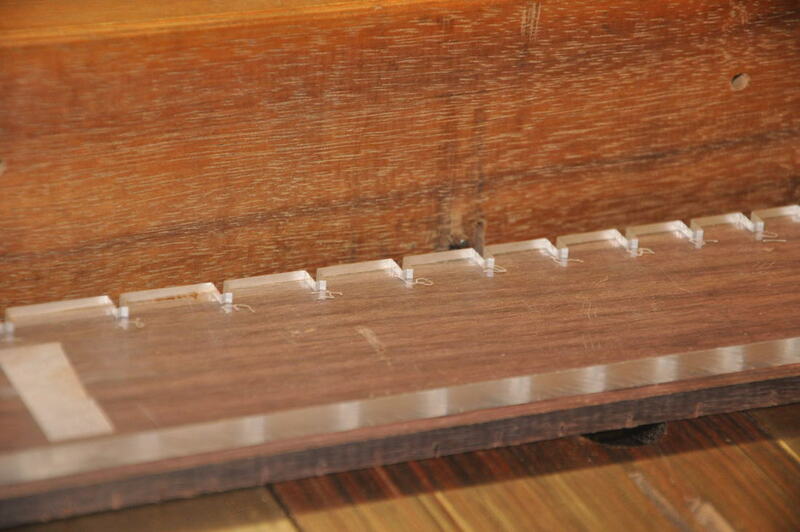 It is set into the fence at the right height so that it clears the fretboard and fits into the template slots. It should be a good fit. Regardless of the fit, I aways move the fretboard in the same direction and apply a slight pressure in that direction to take up any looseness of the pin fit.